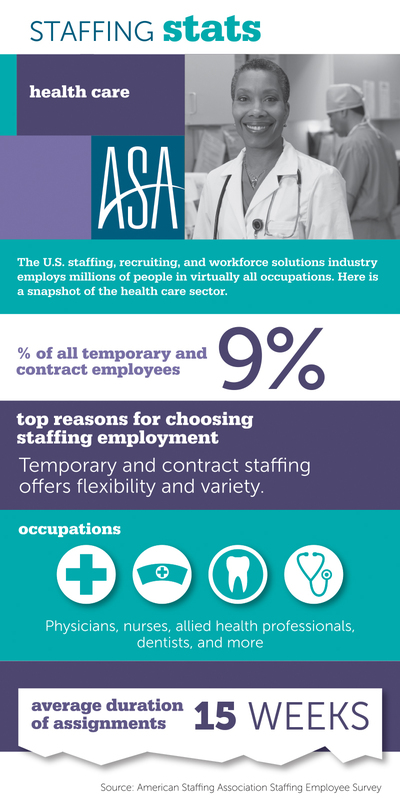 The ASA Staffing Employee Survey offers a closer look at temporary and contract staffing employees by industry sector, including demographics and work preferences. 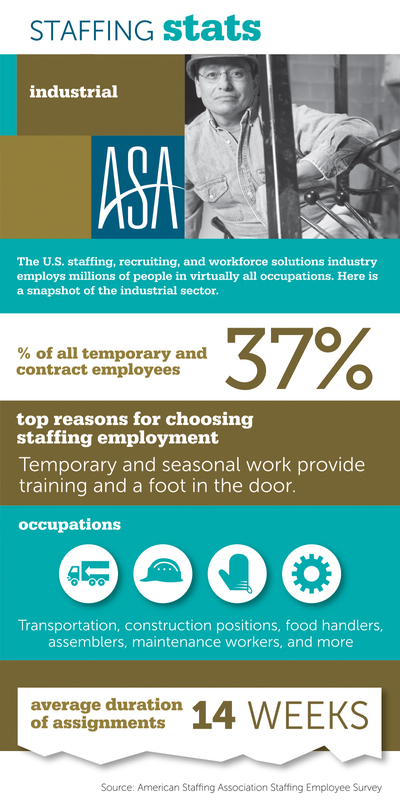 View and download sector-specific infographics below. 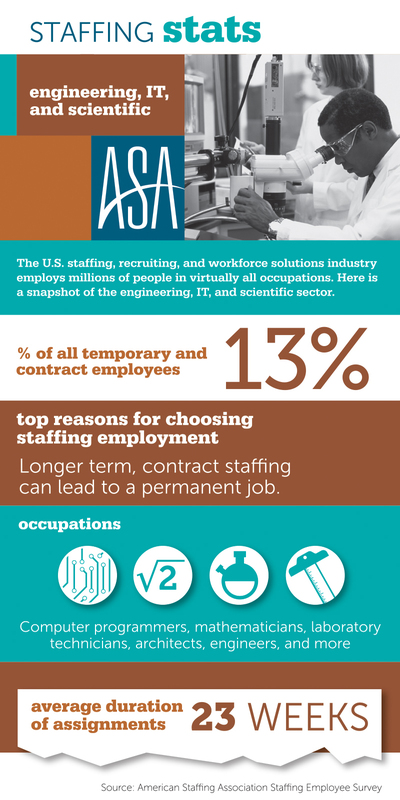 Temporary and contract staffing employees work in a broad array of jobs, from industrial laborer to chief executive. 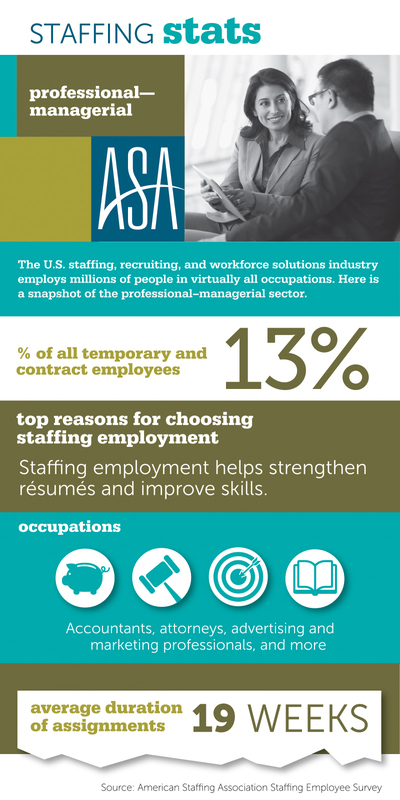 And their individual characteristics, as well as how they view their work, vary just as widely as their occupational distribution.